If the cone was sliced through the middle, perpendicular to its base, which two-dimensional shape would be viewed from the side? 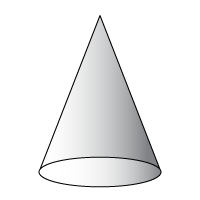 If the cone was sliced through the middle, parallel to its base, which two-dimensional shape would be viewed from the top? 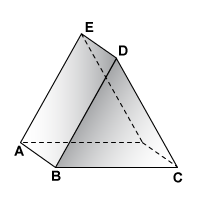 If the prism below was sliced through the middle, parallel to its base, which two-dimensional shape would be viewed from the top? 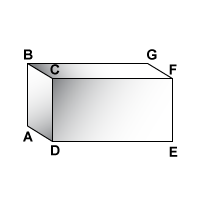 If the prism shown was sliced through the middle, perpendicular to its base and parallel to face ABCD, which two-dimensional shape would be viewed from the side? 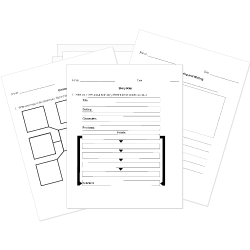 If the triangular prism was sliced through the middle, perpendicular to its base and parallel to face BCD, which two-dimensional shape would be viewed from the front? If the triangular prism was sliced through the middle, parallel to its base, which two-dimensional shape would be viewed from above? A cylinder is sliced through the middle, perpendicular to its base. What two-dimensional figure would be seen when viewed from the top? 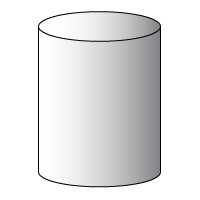 A cylinder is sliced through the middle, perpendicular to its base. What two-dimensional figure would be seen when viewed from the sliced side? A square pyramid is sliced parallel to its base and the top removed. When viewed from the side, what two-dimensional shape would be seen? A square pyramid is sliced parallel to its base and the top removed. 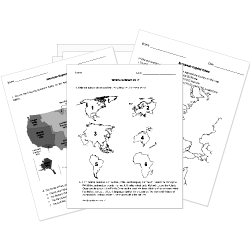 When viewed from the top, what two-dimensional shape would be seen?